Since 1998, Energy Connection has been serving Westmoreland County and surrounding areas as the premier school for Reiki training, including classes sponsored by Westmoreland County Community College. Our spacious North Huntingdon classroom affords a dynamic group experience for students of all ages and from all walks of life. We know that anyone can learn to do Reiki, because they have — hundreds of them! You may desire to learn Reiki simply to treat yourself. You may want to help family or friends. Or you may even foresee using Reiki as part of your profession. For whatever reason, learning Reiki is the smartest thing you can do for yourself. At our facility, you will receive personal attention, small group professional instruction, and a healthy dose of humor. We believe in ongoing support for Reiki students and offer regular group Reiki Shares along with continuing education in all aspects of the Reiki experience. You are always invited to join our Reiki community in whatever capacity you desire. Remember: Reiki is non-religious. It will not interfere or be in conflict with your current belief system. Because its founder was Japanese, Reiki has an Eastern flavor, but it is not tied to any religious practice. To the contrary, it has a universal philosophy of non-judgment and wholism. 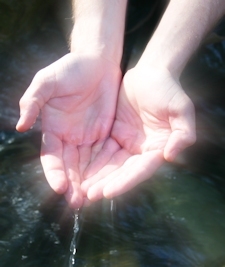 It is entirely an expression of unconditional love and generosity and therefore, a spiritual expression of your heart. We invite you to call to discuss your interest in learning Reiki with one of our instructors. At Energy Connection, there are four levels of traditional (Usui) certified training available. We also offer training in several other Reiki modalities, as well. I would like to share my insights into the benefits of having regular and routine Reiki treatments with a Reiki practitioner. As a I get caught up in the hustle and bustle of modern life and its demands (no one excluded here), I forgo giving myself daily treatments which I feel the effects from and then add to it by skipping a session or so with my practitioner. This scenario occurred last fall while I was working more and planning for a vacation and the upcoming holidays, a time when all of us need more balance and centeredness!!! So while I still enjoyed the thrill of it all, my energy definitely was not optimal nor was my focus as sharp as I desired it to be. Then comes along the after the holidays effects. Balancing sunless, cold days of the remainder of winter, kids being cooped up indoors and normal daily task of family life, I could hear the frustration in my voice that week and so could a dear friend of mine. I went to my Reiki session that week and when I left my appointment, I called the same dear friend who heard “tired” and “frustrated” in my voice only a few short days before, and she asked me with an inquisitive wonder “where have you been?”. 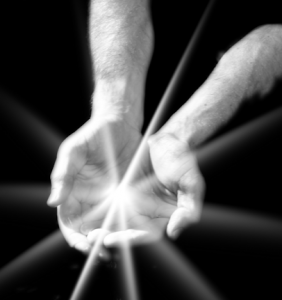 I answered, with a energized and zest reply…just got done with receiving my Reiki session!!! She returned with, “I could hear it in your voice”. You better bet your boots that I make it my intention to see my Reiki practitioner on a routine basis…a fine-tuned tune up for the soul that helps to keep life more balanced! !